Chip Go and JP Tan of Ubisoft Philippines believe that when it comes to video games, it's good to be serious about fun. 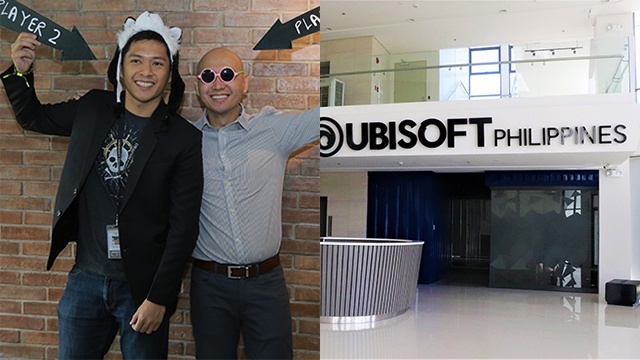 (SPOT.ph) The most striking thing you'd see the moment you step into Ubisoft Philippines’ sprawling new office is a long, winding slide right smack in the center of the office’s lobby. Painted a bright shade of blue and starting all the way from the second floor, the slide is a whimsical alternative to taking the stairs, perfect for the kids at heart. Ubisoft employees and guests can't help but laugh as they try out the office's slide. The slide might seem out of place in an office setting, but this isn't like any other office—consider, for example, the fact that one of their core values is to be “serious about fun.” Ever since the video game company’s local outpost launched in 2016, they have co-developed five video games: Assassin’s Creed: Odyssey, Assassin’s Creed: Origins, The Crew 2, Skull & Bones, and For Honor. As they continue to bring joy to the lives of gamers the world over, one thing is for sure—Ubisoft Philippines is a showcase of Filipino creativity and talent. Unfortunately, there weren’t any video game development courses available when he went to college in the late '90s. So instead, he took up Management Information Systems at the Ateneo de Manila University. But the desire to follow his dream never faded—so in 2005, he flew to Seoul, South Korea, to pursue his master’s degree in Image Engineering, Major in Game Development at the Chung-Ang University. What followed was a five-year stint at Ubisoft Singapore, where he gained hands-on experience learning what goes behind creating triple-A video games. “[Working in the video-game industry] has always been a burning desire from childhood that led up to certain pivotal moments, and it would take me to where I am right now,” he recounts. It was in Ubisoft Singapore where Tan met Go. As fellow Filipinos, the two hit it off right away. In 2016, they took a leap of faith and brought Ubisoft to the Philippines, with Go as studio manager, and Tan as lead artist. (L-R) Ubisoft Philippines' lead artist JP Tan and studio manager Chip Go pose for a playful shot. Two years and 100 employees later, the company has their very own game development studio. Located in the John Gokongwei Jr. 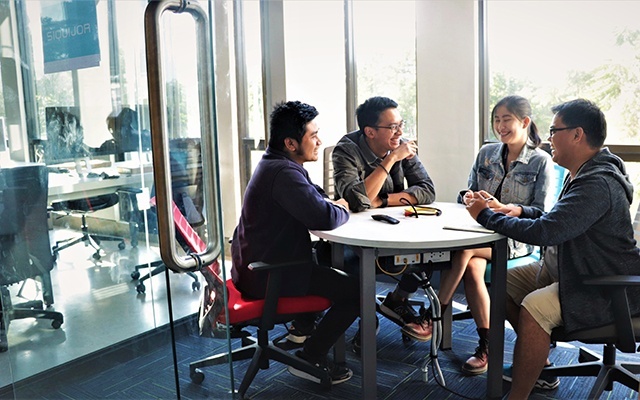 Innovation Center at the De La Salle University Science and Technology Center in Santa Rosa, Laguna, Ubisoft Philippines’ new office boasts an open-plan space and three sprawling floors. Huge floor-to-ceiling glass windows let in plenty of natural light. 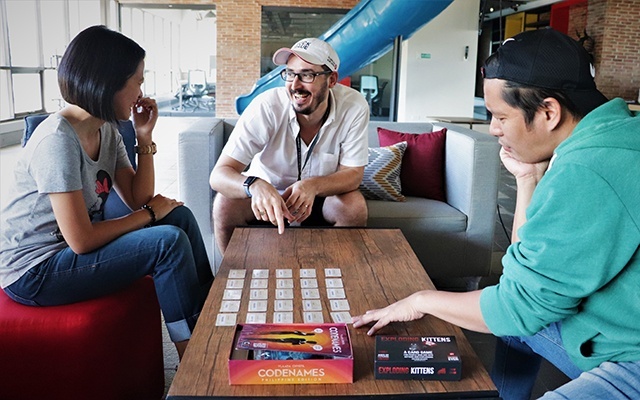 True to their “serious about fun” credo, the office also has a ping-pong room, lounge areas with gaming consoles, and a roofdeck for parties and the occasional company barbecue. Says Go, these facilities provide employees with an environment that fosters creativity and collaboration. 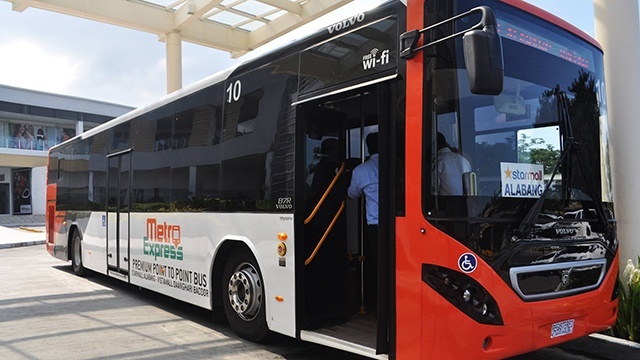 You might wonder, why not Metro Manila? “[Santa Rosa] may seem far in terms of kilometers, yes, but life is measured in time, and it takes less time to travel a farther distance [in Laguna] than it takes to go a very short distance in the Metro,” says Go, who takes a twenty-minute bicycle ride to work every day. Ubisoft Philippines' new studio has several floor-to-ceiling windows that allow for an abundance of natural light. The new studio is home to 100 employees (and counting). Meeting rooms are named after Filipino destinations such as Siquijor, Boracay, and Cagayan de Oro. 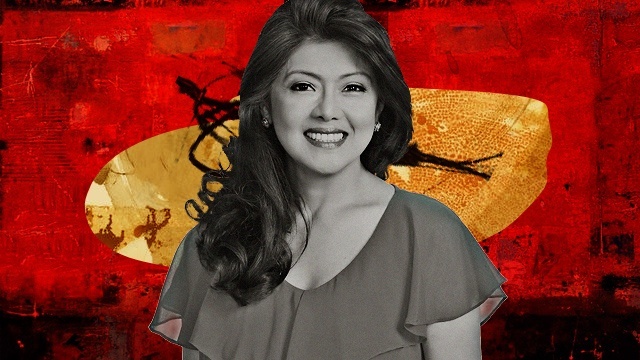 Tapping Filipino talent was a natural step towards the video game company’s expansion, says Go. “Upon studying the Philippine market, we found that [Filipinos have certain] characteristics which make us well-suited for working in video games. We love games, we speak English well, we embrace technology quickly—and most importantly, we’re very creative,” he continues. “When you take all this, it fits with our strategy to go where the talent is.” Looking to build the next generation of Filipino video game developers, Ubisoft has partnered with the De La Salle University’s Santa Rosa campus, which now offers various game development courses to students. Without skipping a beat, Go points out Tan as an example of Filipino talent, admitting that he is constantly in awe of his friend’s artistic talents and the many intricate worlds he creates. “I’m probably going to embarrass him, but he always performs amazingly, proving that Filipinos can compete [in] the world stage." Tan takes inspiration from a myriad sources—from the visual styles of film directors, the works of master painters such as Rembrandt and Picasso, to local architecture. He recalls a recent trip to Intramuros, where the old houses left him in awe. He finds that his exposure to various art forms enriches his work. So, what is the recipe for an exceptional and ideally best-selling video game? Tan believes that it all boils down to creating a memorable experience for the player. "[A video game] is a close collaboration of different disciplines—such as the level of design, art, and narrative—and all these factors need to come together in the right balance at the right time to create memorable experiences," he stresses. The office has several sitting areas where employees can hold meetings or even play card games! Despite the tight deadlines and the amount of pressure in video-game development, Go and Tan say that there’s nothing more rewarding than seeing others enjoy a game you’ve worked hard on. “When we saw our players play Skull and Bones for the first time, and we saw it in their eyes that they thoroughly enjoyed it, it was a very gratifying moment,” says Tan. Go agrees, adding that even after 10 years of working in the industry, he still gets goosebumps whenever he sees positive feedback online. In the two years they’ve been on local shores, Ubisoft Philippines has achieved far more than Go and Tan could have imagined. With their firm commitment to opening doors for aspiring Filipino game developers, there are more exciting things in store not just for Pinoy talent, but for video gamers around the world. For more information, log on to Ubisoft Philippines’ Facebook page. Update as of August 24, 2018 (3:30 p.m.): A few corrections have been made to this article. When it comes to employee development, Ubisoft hopes to build a virtuous cycle, not a "virtual cycle." The article also incorrectly stated that Chip Go pursued a master's desgree in Computer Games at Seoul's Chung-Ang University. In fact, he finished his postgraduate studies with a Master's Degree in Image Engineering, with a Major in Game Development. Finally, Ubisoft Philippines' new office is housed in the John Gokongwei Jr. Innovation Center at the De La Salle University's Sta. Rosa campus. The article has been updated to reflect these corrections.